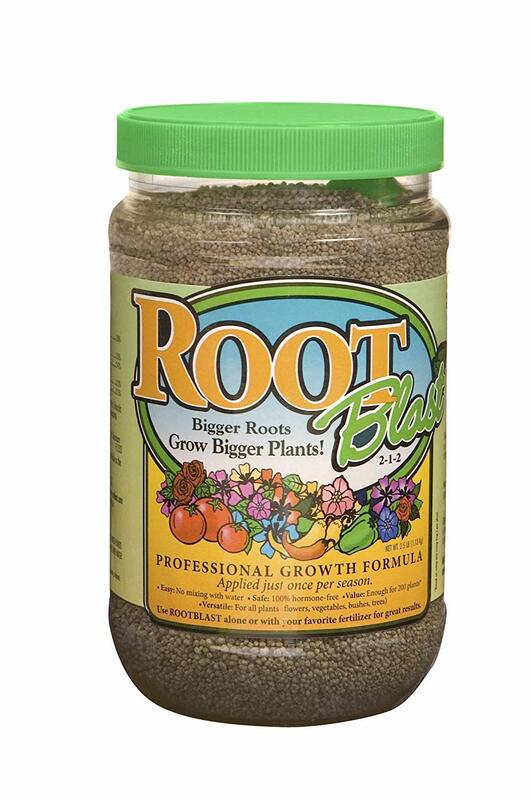 A great product for boosting the health of your plants through robust root systems. This is a great product! Boosting your plants root mass in a healthy manner means much less work for you and a greater yield on blooms or vegetation. If using with orchids or other sensitive household plants, you will need to dilute this down with water. One scoop of this for orchids could do at least 5 gallons of water. Not much is needed, as you will want to introduce your plants to this over time with incremental increase. In due time, you will notice a significant change in your root health which means much healthier plants overall. A friend of mine recommended this to me, as he has been using it successfully on his orchids and various other plants and saw definite improvement. Rootblast boosts new root growth. 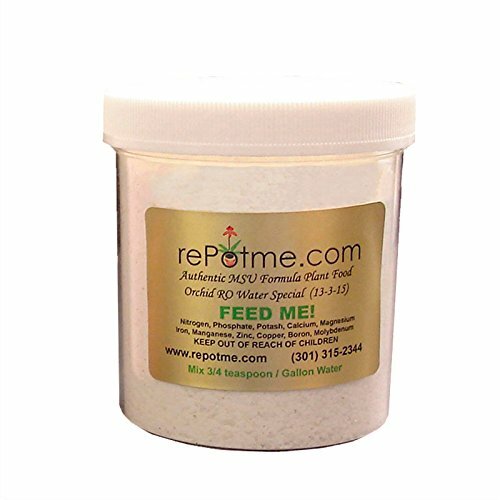 This granular 2-1-2 fertilizer contains limestone, calcium nitrate and monoammonium phosphate to pump up the roots of your flowers, vegetables, trees, shrubs, and houseplants. Easy to apply, with no mess, and no water mixing needed. Use once per season for outstanding results. All natural, hormone free, and environmentally safe. Big 2.5 lb (40 oz) jar to feed dozens of seedlings, your transplants, and your established beds. I love rePotme products. They have a reputation for being top notch across the board. Grow lights change your indoor plant growing experience. With the right choice, you can enjoy growing any houseplant you choose! Here are some of the best of the best grow lights that I absolutely love. The top rated selection of ceramic orchid pots. Are you someone who loves to garden? Here are some must read books for the garden-crazed individual. Grow lights change your indoor plant growing experience. With the right choice, you can enjoy growing any houseplant you choose again! Here are some of the best of the best grow lights! A collection of my most recommended and most used net pots for orchids. Top rated bark for orchids. Most recommended fertilizers for your orchids. A list of the best plant stands I could find, especially for orchids. After careful consideration, these are the ones I’d recommend. My best of the best orchid pot selection. An assorted sizes bunch of orchid pots to fit all of your needs at once. Are you new at repotting orchids? These kits will offer you the help needed to give you the best start possible. ROOTBlast helps your plants thrive by growing more robust root systems. The best of the best sphagnum moss options.